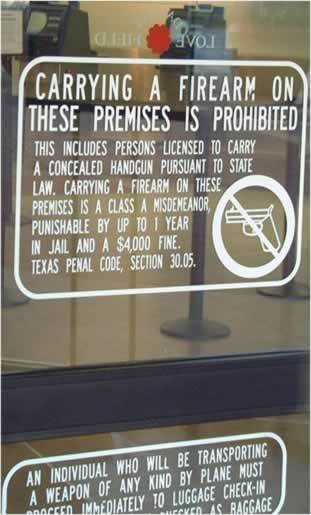 Question: Where can't I carry my handgun in Texas? In a school bus or other school transportation vehicle. 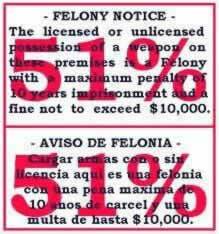 In any facility belonging to the Federal government (e.g. you can carry into a national park in Texas, but you can't carry it into any building there, because the buildings would be Federal facilities) -- this includes the post office. 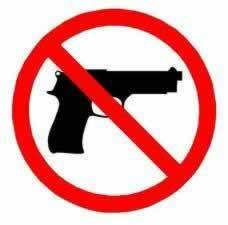 Into the home or on to the property of anyone who verbally tells you that you cannot carry a concealed firearm there. Into Six Flags. Actually, the law says an "amusement park," but then defines an amusement park so that the only place that fits that definition is Six Flags. 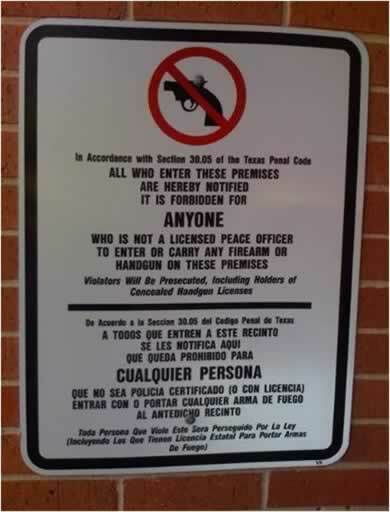 But you CAN carry into the State Fair of Texas if you declare that fact to security personnel in accordance with the instructions on the fair's web site. 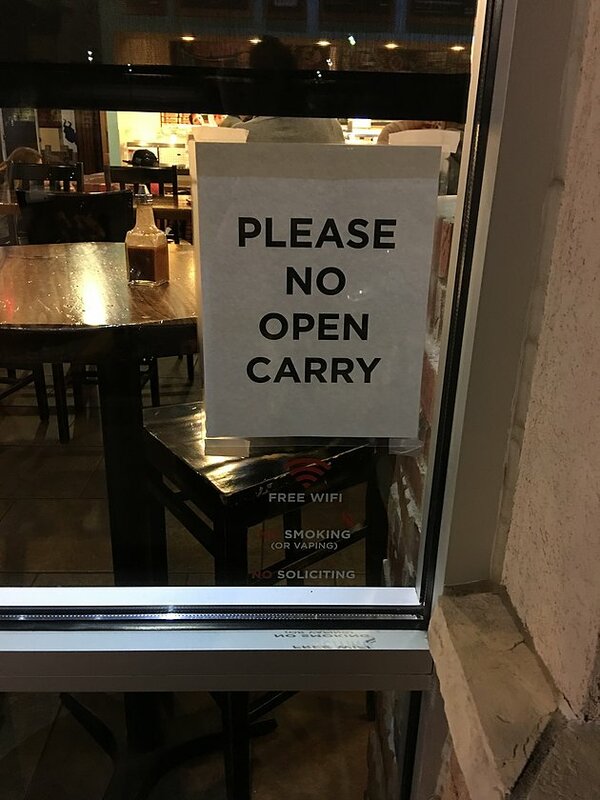 You cannot open carry a pistol into any place that displays the 30.07 sign (or where the management or owner verbally tells you that you cannot open carry). 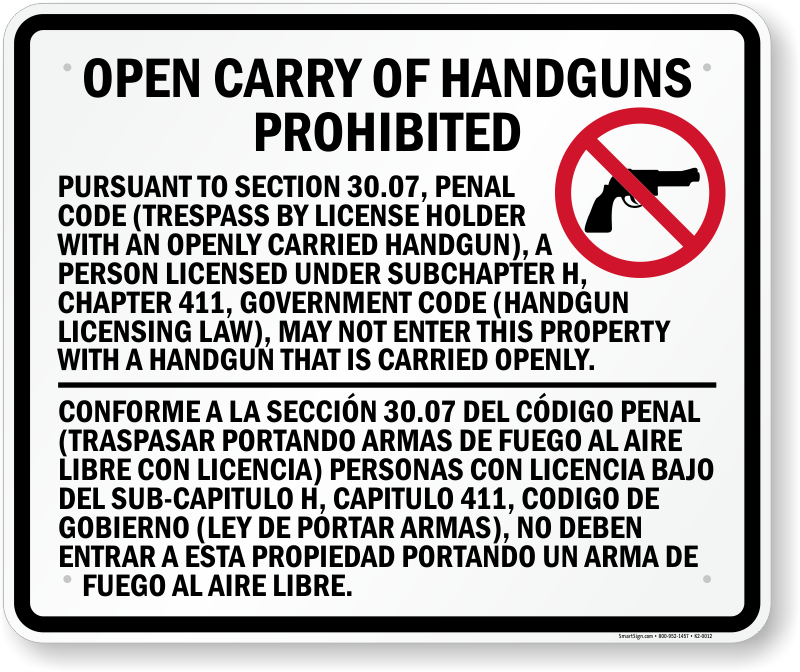 Unlawfully entered or was attempting to enter your "castle"
Was committing or attempting to commit a felony including the use of unlawful force, kidnapping, murder, sexual assault, or aggravated robbery (robbery involving the use of a firearm).